Dynabrade's top performing air tools for weld preparation and removal applications. 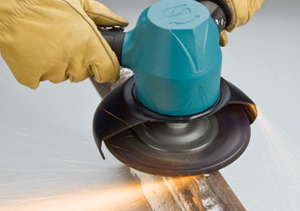 Consistent speed and power are critical factors to consider when selecting an air tool. 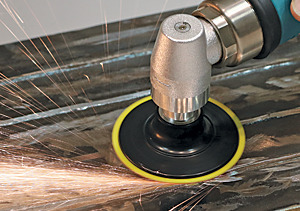 Dynabrade manufactures powerful tools that maintain speed and will allow a welder to quickly ready the work surface or remove a poor or damaged weld. One step in ensuring the strength of a weld is to start with a "clean" surface that is free of coatings, rust or other debris. 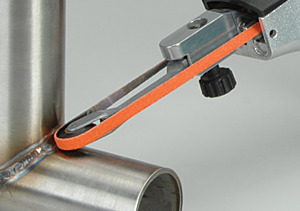 Dynabrade air tools prepare an edge for welding in three main ways: Grinding, Sanding & Peening. 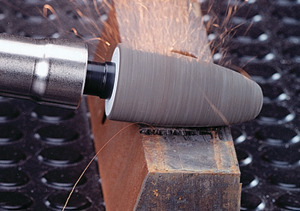 The term "Grinder" refers to many different tools that accomplish similar tasks. 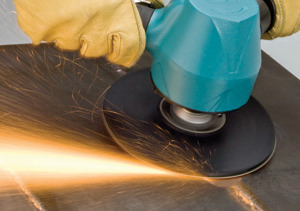 Dynabrade manufactures a variety of "Grinders" that typically accept bonded and coated abrasive discs, but can also utilize non-woven abrasives and wire products. 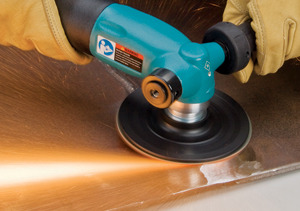 Dynabrade's range of tools extends to the finishing stages of a welder's application where a grain pattern is set, or prior to a final coating being applied. Creating and acceptable finish can be the most time consuming and difficult aspects of a welder's job; often requiring multiple steps to reach a required end! 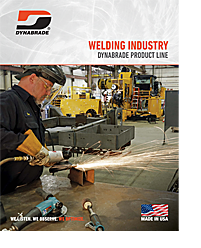 Dynabrade tools assist welders in the blending and polishing stages of their work by; allowing access to hard-to-reach areas, multiple horsepower and speeds for light duty or demanding applications.